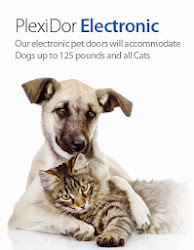 The PlexiDor Electronic is unique when it comes to pet doors. 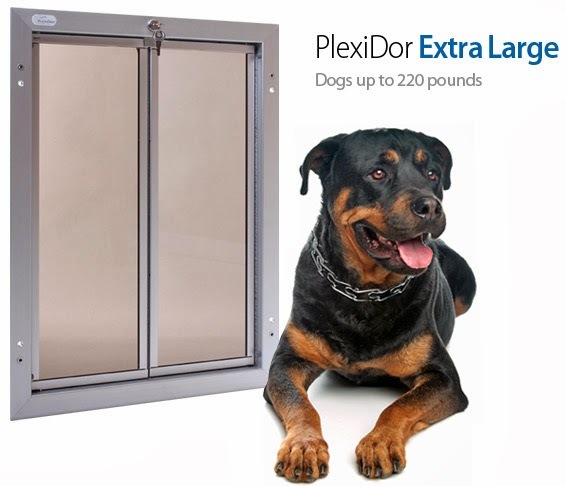 It has a composite panel that slides up and down like a miniature electronic garage door. 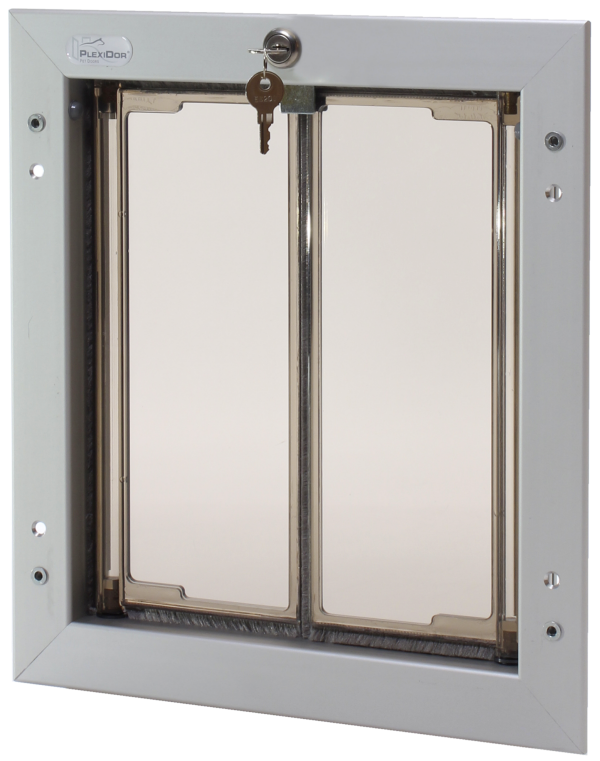 When the door is closed, the panel acts as a security door, virtually impossible to force open. 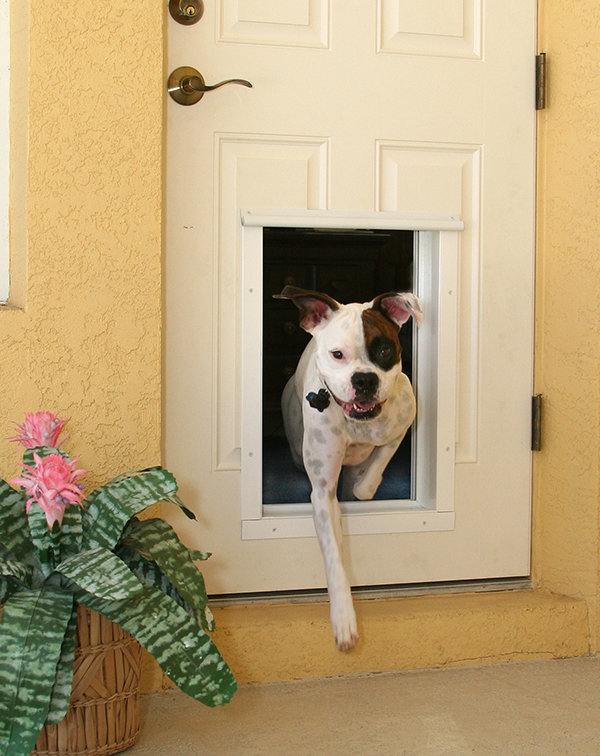 The door is controlled through an RFID key attached to the pet's collar. We put the key in the opening to make it go up and down.